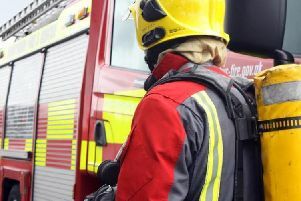 Firefighters have tacked a vehicle that was ablaze on the M1 junction 30 slip road. Crews from Staveley Blue and Aston Par watches were called to the incident this morning at 5.20am. The fire involved a van carrying beds, and crews used three hose reel jets and four breathing apparatus to extinguish the fire.